Pool owners know first hand the hike in their electric bills during pool season. Our goal is to eliminate this hike, which can sometimes be in excess of $2,500 per season. Installing a solar pool heating system will provide you with many enjoyable summer days of swimming in comfortable pool water temperatures. 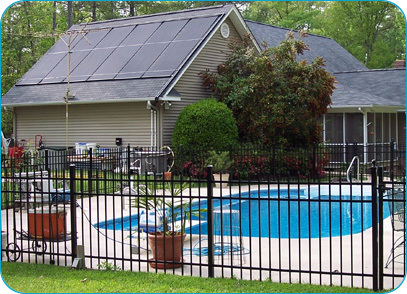 Solar pool heating systems utilize thermal technology, which uses the sun's energy to generate low-cost, environmentally friendly thermal energy. Solar thermal systems differ from solar photovoltaic (PV) systems, which generate electricity rather than heat. Pool season is quickly approaching. Don't wait till the summer is here to install your system. Contact us today for a free consultation and more information.